There is one rabbit that her attorney can pull out of the hat, he has a ‘one shot’ at applying the Youthful Offender defense. Th 89 years could be reduced to a more manageable 6 years. However with the St Johns charges the total still comes to a very daunting 31 years. The judge today set an October 19 pre-sentencing hearing, however he also explained that the hearing likely would not occur on that particular date. Attorney Fields has asked for a three hour time slot for this hearing. Almost certainly this will be to play the Youthful Offender card. Misty Croslin is led into the Putnam County courtroom in Palatka for her plea hearing in court on Monday. It was her final chance to plea or have a court date set on the seven prescription drug trafficking charges in Putnam County. She pleaded no-contest to the charges and a sentencing date in October was set by Judge Terry LaRue. Misty Croslin, 18, leaves the court room after a entering a plea of no contest for drug-trafficking at the Putnam County Courthouse Monday, August 16, 2010. Misty's grandmother, Flora Hollars, who lives in Tennessee, said she thinks as long as she and her brother, Hank, are in jail, they won't tell what they know about Haleigh. "I believe they'll do more talking out of jail," Hollars said in a phone interview Monday. "Look at how long it's been. They ain't said nothing." "I don't think they'll say anything as long as they're in jail," Hollars said. "If they were out, they might talk." Hollars said she still believes Haleigh's body was dumped into the St. Johns River, and in her opinion, everyone in the Croslin family knows more than what they've admitted to. "Misty is the one that told me they wrapped her in a bag and tied it with a yellow rope and dropped her into the St. Johns River," Hollars said. "I think Ronald knows more than he's saying, too," Hollars said. Thank you Heart for all the updates! Misty sure looks like a different person! She seems to be doing nicely in her new surroundings. Still no remorse in her eyes! Does anyone know if Misty will still qualify for the Y.O. program with charges in more than one county? I looked around a bit and couldn't really find what I'm looking for. Unbelievable that this group has been able to hide the truth about what happened to Haleigh for all this time. I can't even avoid a speeding ticket, and this crew has left LE with nothing! U.S. Attorney A. Brian Albritton announced that on August 11, 2010, U.S. District Judge Harvey E. Schlesinger sentenced James Charles Jones, Jr. (age 60, of Putnam County) to life in federal prison on Federal drug trafficking charges. Jones also previously forfeited the sum of $87,170 through administrative proceedings. Jones pled on May 27, 2010, to conspiracy to distribute more than 5 kilograms of cocaine, possession with intent to distribute more than 5 kilograms of cocaine, conspiracy to distribute more than 50 grams of cocaine base, possession with intent to distribute more than 50 grams of cocaine base, and maintaining a drug-involved premises in Putnam County, Florida. Jones faced a mandatory life sentence because he had prior serious drug trafficking convictions for conspiracy to distribute 5 grams or more of cocaine base on March 22, 2006, and distribution of cocaine on December 16, 1993. U.S. Attorney Albritton stated, "Through this joint effort of federal agencies and the Putnam County Sheriff's Office a long time drug dealer will now be off the streets for the rest of his life. I commend Sheriff Hardy and his fine deputies for being part of this team effort." wow.. I just lost a whole post.. probably happened because I said unkind things.. I saw MC on my local news and she BLEW UP.. I know you gain weight when you stop drugging but wow.. RC got thicker and MC's mother actually looked better, also looked like she put her teeth in for her booking photo.. only TC appears thinner, with his ears bigger..
And thank you Heart and Trimm for keeping us updated.. you both make it easier to catch up! Croslin pleaded no contest to seven prescription drug trafficking charges in court Monday. In answering questions asked through her attorney by The Florida Times-Union, Croslin said she is saddened by the disappearance of HaLeigh Cummings and wishes she had stayed away from HaLeigh's father, Ronald Cummings, who is charged in several of the same drug cases. Lewis said Cummings is a possible witness against Croslin, though no decision about that has been made. Cummings will be in Putnam County court Friday, possibly with a deal for a 15-year sentence. Asked what she would have done differently in the past, Croslin said she would not have become involved with Cummings, Fields said. "She would have stayed away from Ronald, as everyone told her to do," Fields said. Asked how she thinks about HaLeigh, whose seventh birthday is today, Fields said Croslin is saddened by the case but "loved HaLeigh and always has." He said she has cooperated with investigators. Fields said one question he would not answer is why Croslin was involved in drug dealing while the investigation into HaLeigh's disappearance was ongoing. Misty Croslin pleaded no contest to seven prescription drug charges Monday morning and now faces up to 240 years behind bars. Croslin, 18, has been called the key to the Haleigh Cummings investigation, and was arrested in an undercover narcotics sting with four others - including Haleigh's father - in January. "There is obviously an overwhelming amount of evidence which is basically too great to overcome a trial," Robert Fields, her attorney, said. Fields is hoping instead to have her sentenced with a youthful offender status, which would decrease the sentence to a maximum of six years. Otherwise, "The best case scenario for her would be 20 years," Fields said. A presentencing investigation has been ordered, and a tentative sentencing has been set for mid-October. Croslin will appear in St. Johns County today on one remaining drug trafficking charge. Others that face drug-related charges include her brother, Hank Croslin Jr., 24, Haleigh's father, Ronald Cummings, 26, her cousin, Hope Sykes, 18, and a former Equusearch volunteer, Donna Brock. Croslin Jr. and Sykes have each been sentenced to 15 years behind bars. Cummings is scheduled to appear in court Friday for five counts of trafficking in narcotics and may plead to three of the charges in a deal with the state. Brock has pleaded guilty in St. Johns County. Undercover investigators arrested the five after they allegedly dealt in approximately $3,900 worth of Oxycodone and Hydrocodone pills in a month-long narcotics investigation. Croslin's parents will also make an appearance in court this morning for violation of probation and separate drug charges. 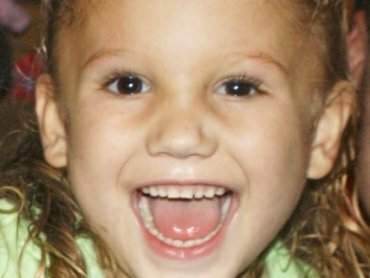 Haleigh was reported missing by Croslin at 3:27 a.m. on Feb. 10, 2009. Despite massive searches, no sign of the kindergartner has been found. Heart thanks for your dedication and all the work you do here. It keeps us abreast and though I don't post much I read here constantly. Sweet Haleigh, you deserved so much more. Thank you Heart and all Monkeys for the articles, photos and updates. Tuesday saw Misty Croslin back in court, this time in St. Augustine. This was o face yet another drug trafficking charge, one that carries a 25 year mandatory minimum. Her plea of Nolo should come as no surprise. However that is not to say that the hearing did not have its fair share of surprises. The biggest surprise is that the pre-sentance hearing has been set for October/9 and will be held IN CONJUNCTION with the Putnam County charges that she pled to yesterday. This ‘joining’ of the two cases opens an interesting door. Does this mean that attorney Fields can now play his Youthful Offender card and have it stick across both cases? Could Misty Croslin score a measly six years and walk away from these charges spending far less jail time than her accomplices? The second surprise was to be found in the audience. In attendance were both Crystal Sheffield, her mother Marie Griffis and another unknown female. Our ******* who was in the court room told us that throughout the hearing Crystal looked distinctly nervous, wringing her hands, and tapping her feet. I find it somewhat curious that the Sheffield’s did not attend the recent vigil for missing Haleigh Cummings, yet would turn up for for Misty Croslin’s court appearance in a case completely unrelated to the search for Haleigh Cummings. We are still waiting for a report on the court appearances of Hank and Lisa Croslin. We will bring you an update as soon as we have it.